There are some pieces of furniture you won’t dream to place in another spot than the one they are clearly designed for. Such are the sofa for the living room and the bed for the bedroom. Then, there are other more versatile pieces that can be used in multiple ways, such as a bench. Although it’s primarily designed for outdoor spaces and parks, the humble bench can work in almost every part of the house. Here are some great uses for this multi-functional element. The fact that they are usually one of the smallest rooms in the house means that bedrooms can be tricky to decorate. Especially if you want to include seating and storage. Luckily, a bench for end of bed can be a stylish solution for both these problems. For instance, placing a bench at the foot of the bed gives you somewhere to sit when you’re getting dressed and you don’t want to disturb the cleanliness of your bed. And if you choose a bench for end of bed with integrated storage space or drawers, you have the perfect spot to keep your bed linens, pyjamas and other night-time essentials. Ideally, the bench should be a few centimetres shorter than the footboard of the bed. On the other hand, if your bed lacks a footboard, a higher bench can be an alternative way to anchor your bed. Another place where you can make great use of a bench is the dining room, especially if it’s a small one. During celebrations and family meals as you try to squeeze everyone together on the table, you’ll realize how practical and space-efficient a bench can be. Because there are no armrests, a bench takes up less space than individual chairs. What’s more, when it’s not being used, it can be easily tucked under the table allowing you to save floor space. 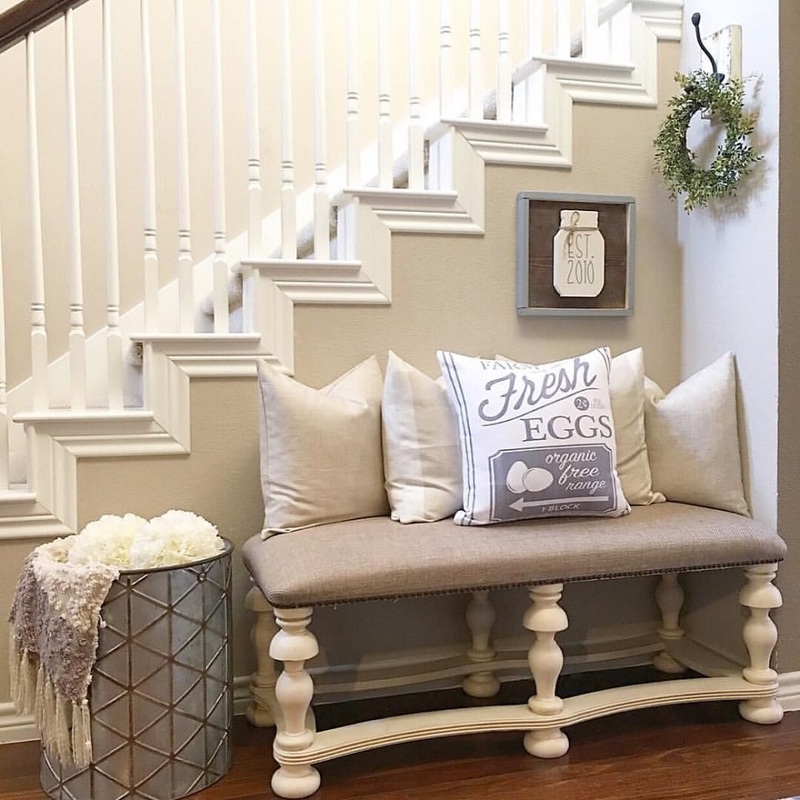 A beautiful bench can be especially useful in the hallway. It can provide you with seating for slipping off your boots, or simply function as a convenient surface for setting down your groceries. Since hallways are long and narrow, a bench with a slim profile can be easily placed against the wall leaving room for people to move. Similar to a bench for end of bed, integrated storage can come in handy for keeping shoes neatly organized. The space above the bench can also be efficiently used by installing a coat hanger. In an open floor living area, it’s important to have your zones clearly defined. A bench can be used as a subtle way to divide the room without affecting the open feel of the space. You can use it as a border between your seating arrangement and the rest of the area, which can help you create a more intimate and cosy setting.